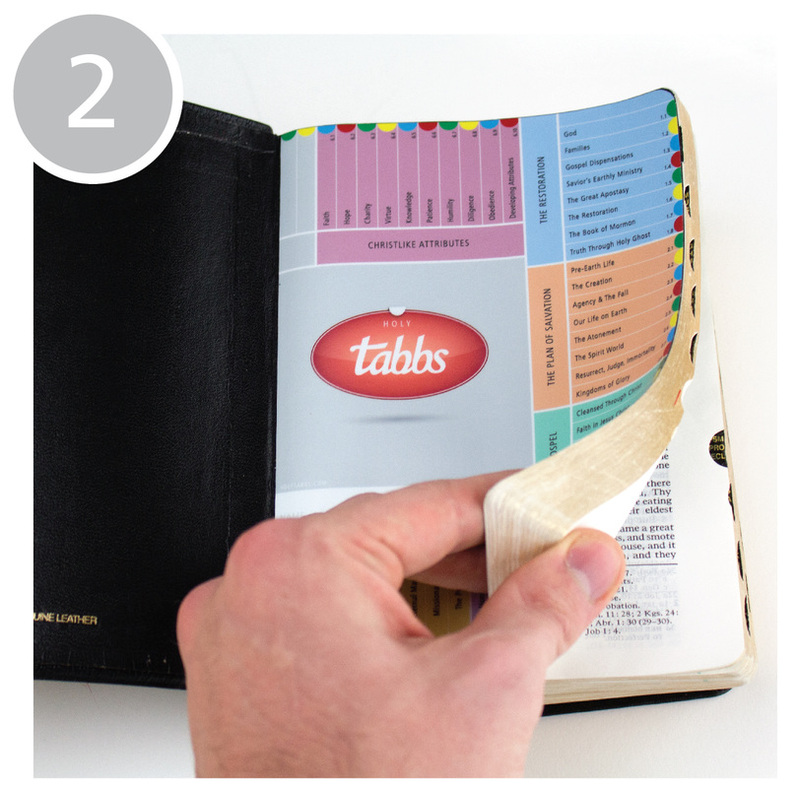 HolyTabbs is a scripture marking kit designed to simplify and enrich your scripture study experience. 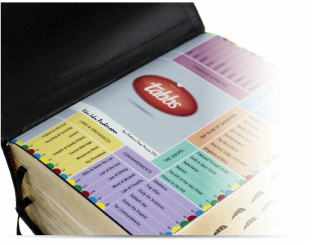 Whether you are a missionary, a student, or a member, HolyTabbs brings scripture marking and finding to a whole new level. With HolyTabbs, you can organize your scriptures to complement the lessons in Preach My Gospel, and find them in seconds! Have you ever marked a scripture and then couldn't find it when you needed it? Maybe while teaching a lesson or during your personal study? We try to make scripture study as simple and enjoyable as possible. 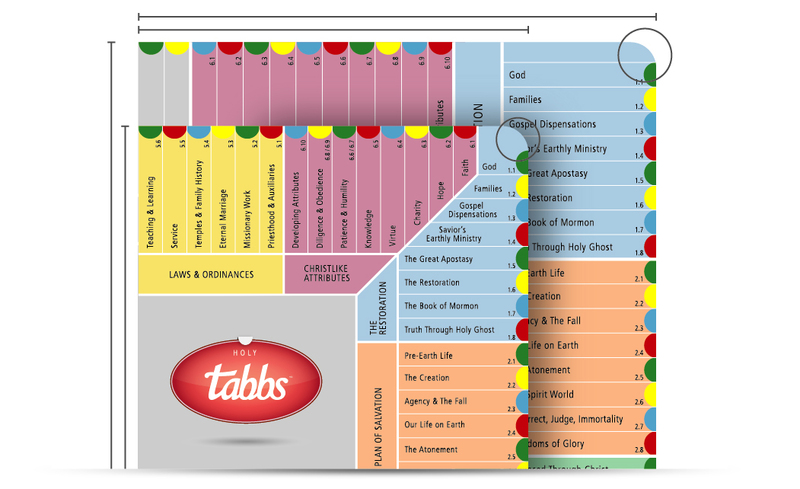 The HolyTabbs system is easy to understand, fun to use, and powerful for study and teaching. In just four simple steps, you can start to create a library of your favorite scriptures that you can find in seconds. First, insert the HolyTabbs skin. Second, find a scripture you want to mark. 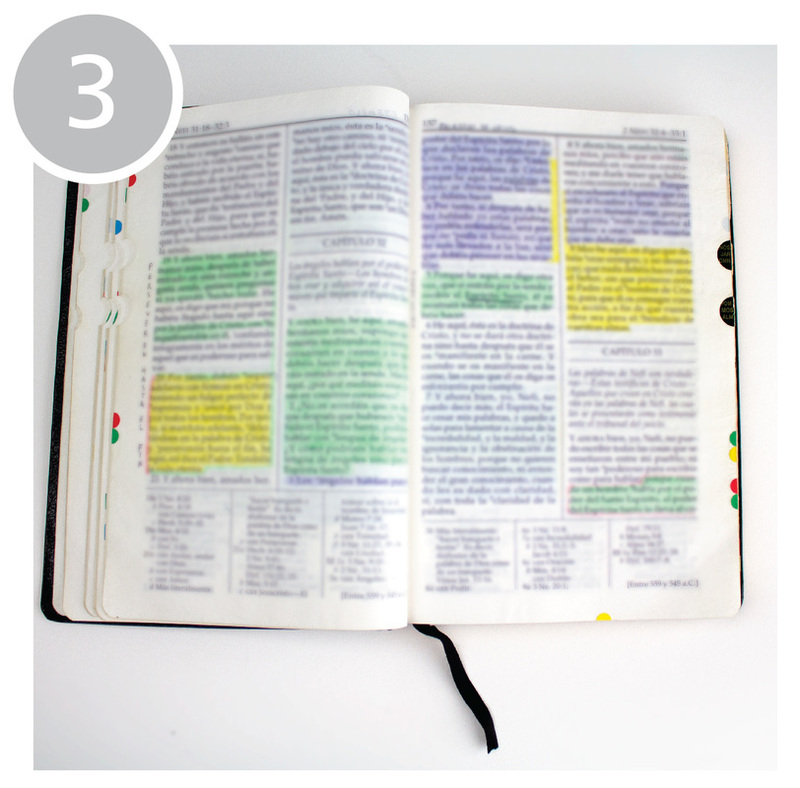 Third, mark the scripture with the corresponding lesson color. Fourth, Tabb the page in line with the lesson topic. That's all there is to it! "I love this system. It has been such a motivator for scripture study by giving me a task to study a specific topic. I feel like my annotations will be better utilized now that I have a system to mark the pages." 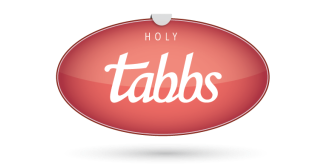 "...Bottom line, you would benefit from HolyTabbs. It would be great for any LDS teacher, from gospel doctrine to sunbeams, seminary students, bishoprics, families, and of course, missionaries." 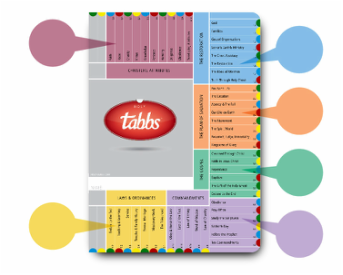 To help you hit the ground running, we have put together an easy to follow HolyTabbs user guide that is complete with images and step by step instructions. We have also included helpful tricks and tips to make the most of the HolyTabbs system. Your experience is important to us. 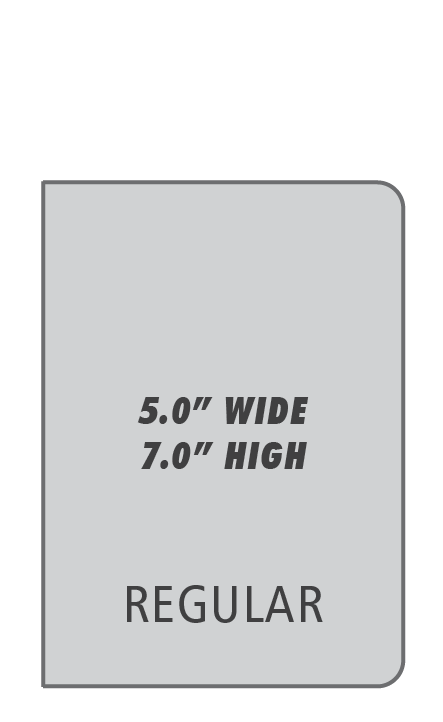 To achieve the perfect fit for the LDS Quad Combination and the Triple Combination in regular, compact, and large sizes, we meticulously measured and cut our skins to match the overall dimensions and radii of their inside covers. 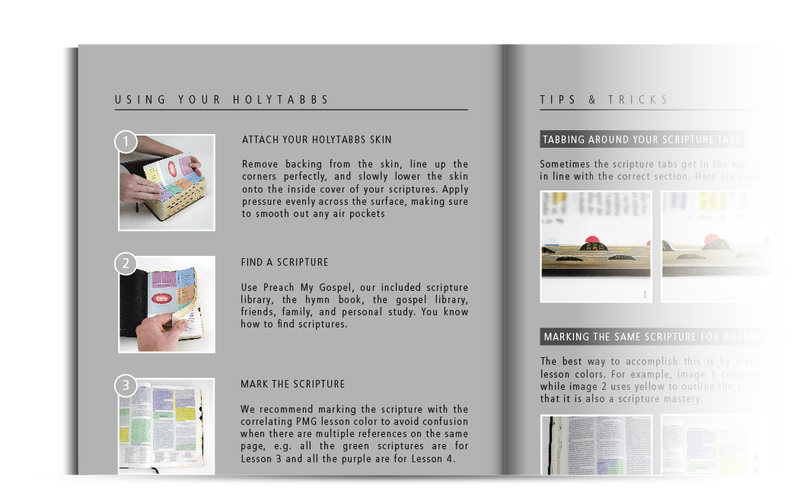 HolyTabbs has been designed to complement Preach My Gospel for effective gospel study. The lesson colors and structure are based on the missionary lessons in Preach My Gospel for enhanced aesthetics and functionality. 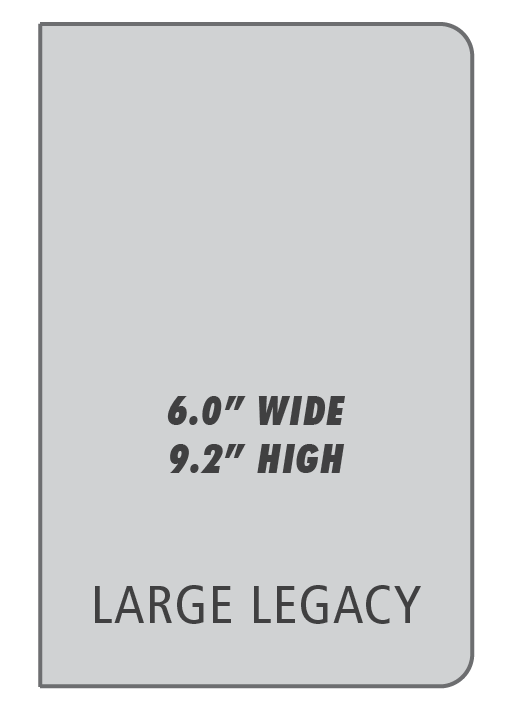 We have provided a space on every HolyTabbs skin for your own personalization. Write in your name, mission, year in school, anything you want. Permanent markers work best on our high quality vinyl material. 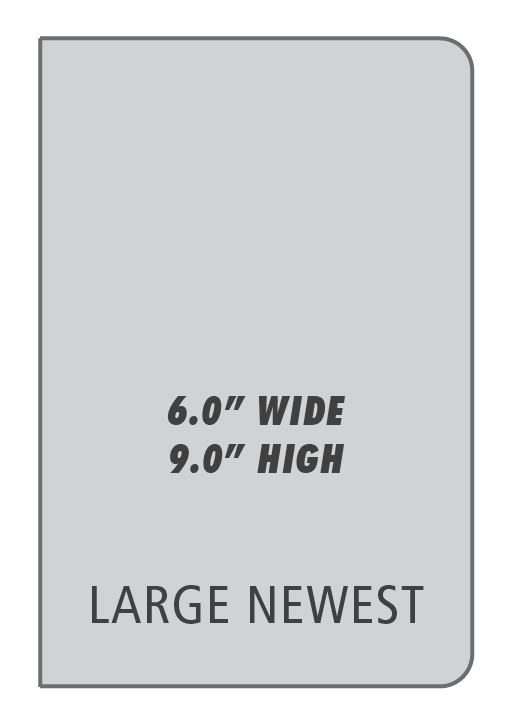 Our repositionable, self-adhesive tabbs are gentle on your scripture pages, but strong enough to stay on indefinitely. 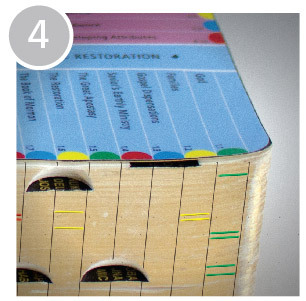 Residue-free removal eliminates a sticky mess if you decide to change the location of a particular scripture. 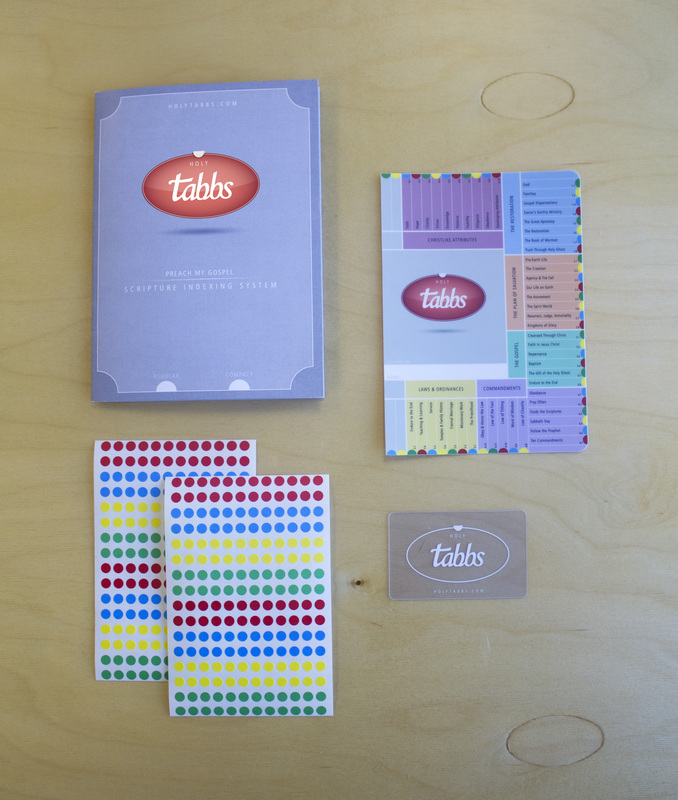 Each kit contains 2 sheets of 192 tabbs each. Sometimes diving into scripture study is intimidating. 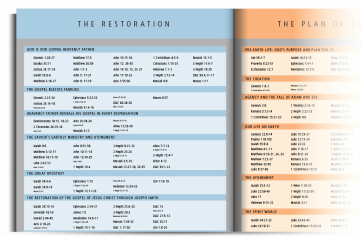 To help you get started, we put together a list of 495 useful scripture references and categorized them into each lesson. 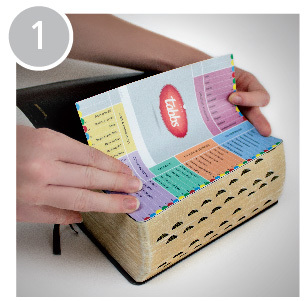 We hope this library proves to be a valuable resource in your scripture study! 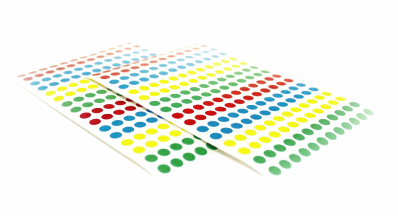 Our incredibly durable skins are made from a premium quality, adhesive-backed vinyl that has been coated with a UV laminate, which protects your HolyTabbs from scratching, rain, and sunlight. You'll be impressed when you hold a HolyTabbs skin for the first time. Our kits will stand the test of time and endless use.